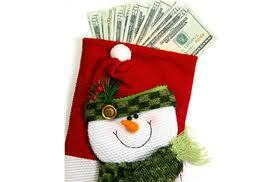 This is the final installment on our “ways to save over the holidays”. The holidays are expensive but if you implement something to save you some money you may feel extra satisfied at the end of the month! I would bet some of my ideas sparked many ideas in your mind of ways you can save! If you dare to share in the comments below, it would encourage others to know your holiday savings plans! It’s a cliche’ but it is the thought that counts! Don’t overlook the value of intangibles. Sometimes finding the right gift at the right price can be near impossible. Do you want to give someone a gift but don’t have the money? Want to help a friend who has a lot on their plate? Offer to baby-sit or take their kids to the park, walk the dog, help organize the garage, or take her to lunch for a break. How about taking an elderly relative for a nice outing or helping them with some minor home repairs. The cost is next to nothing, but the gift is priceless. If at the end of this holiday season you find yourself drowning in debt, received gifts you would rather not have, tired from a busy airport and crazy flight delay I have two solutions for next year. Either change the date of Christmas in your household for one year or have a “catch-up” Christmas next year. Change The Date Of Christmas: pick a date in early January and do all your family present exchanges and celebrating on that date. The airline flights won’t be overbooked, the gifts will be purchased at after Christmas prices and you will have the whole month of December to plan and prepare! You could make it really fun with the anticipation and lack of stress. “Catch-Up- Christmas” simply means, next year make a pact with those around you to consider not spending for one Christmas. One non-spending Christmas will ensure your budget catches up. There are still a lot of things you can do to celebrate Christmas without spending money. Exchange gifts only from things you currently have, make a nice meal without it being expensive, make homemade gifts from recycled and inexpensive items. Make an effort to simply enjoy each others company next year and save your money. How are you going to save over the holidays?